I would date this to the late 1960’s or early 1970’s. There were so many designers of this type of molded plastic ware at that time that I couldn’t even guess who this might be from. The most common ones I know of were made by Colorflo, Wondermold, New Designs, and others. 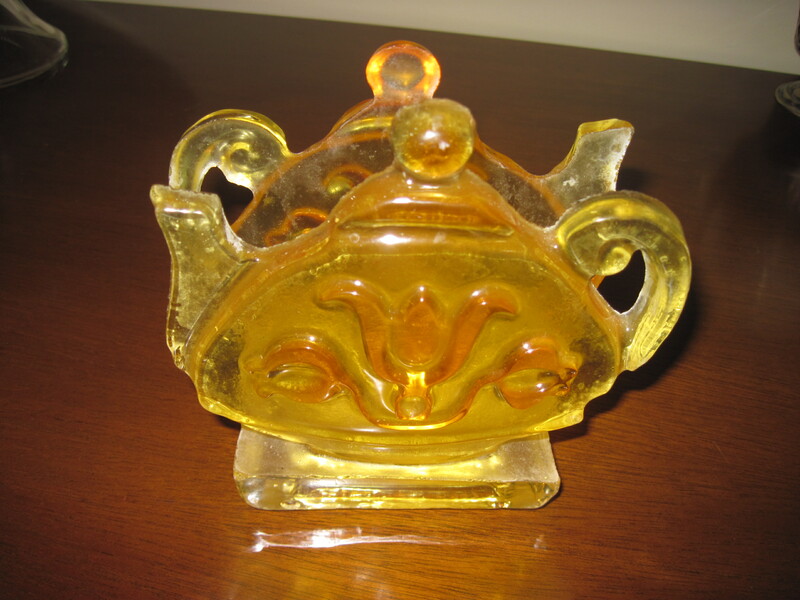 It is constructed of a hard plastic material and shaped like a teapot. They came in a variety of styles and colours to match the mid century decor. This will be for sale at my booth at the Almonte Antique Market, 26 Mill Street, Almonte ON, just 30 minutes west of the city of Ottawa.